All we know how to create local repo and updates for Solaris 11.1, but in Solaris 11.2 release is bit easier than Solaris 11.1. We just need to execute the script which Oracle provides, that will do all for you. First we need to download the basic repositories from Oracle and we have to update with the latest SRU (Support Repository Update). In this post we are going to perform the local repo and update the local repo with latest release SRU. Execute the install-repo.ksh script to create local repo, be Patient it will take time according to your system speed. Repository can be found in /unixrepo. We can check entire package version details which represent overall system package version. By executing "pkg info entire" command we can check the system package versions. 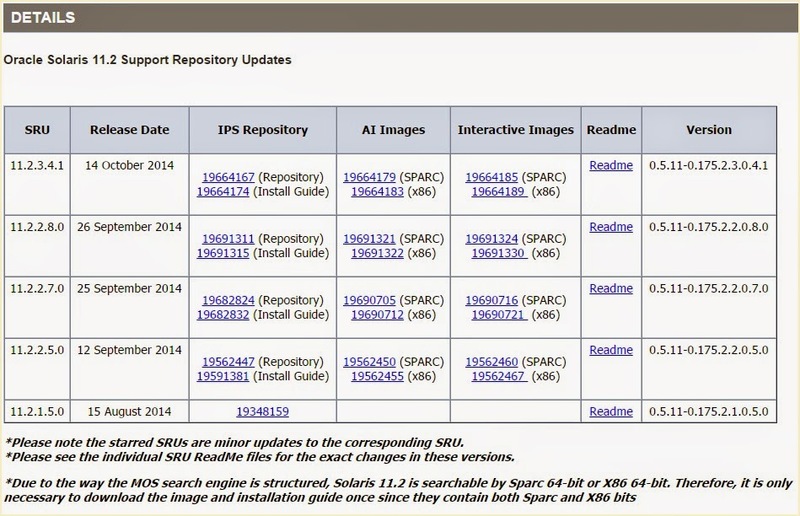 Now let we try to update the local Repository with latest SRU (Support Repository Updates). Downloaded the Latest SRU from Following path DOWNLOAD LATEST SRU, Here I'm downloading 26th September 2014 release IPS package. Using p19691311_1100_Solaris86-64 files for sol-11_2_2_8_0-incr-repo download. Summary: entire incorporation including Support Repository Update (Oracle Solaris 11.2.2.8.0). Yes....We have updated the local repository with latest SRU. 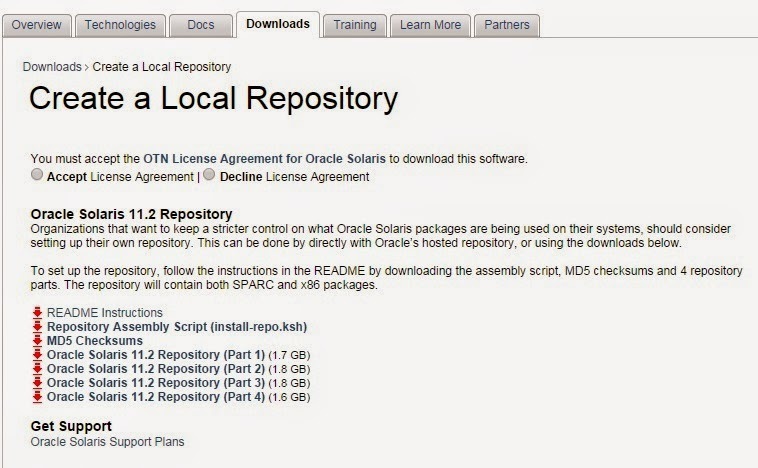 You can check the Version, it show that Oracle Solaris 11.2.2.8.0. Thanks for reading this post, Please provide your feedback and suggestions are highly recommended to improve the excellence of my articles.